The stakes are too high for India to adopt self-aggrandising idealism. Reuters. Issues of multilateral internet governance must be kept separate from cybersecurity and espionage. In his article ‘In strategic interest, and for self-respect’ (IE, January 30), Hardeep S. Puri has underscored why we need to discuss internet governance, cybersecurity and related issues threadbare, and among a much larger set of stakeholders. This intrinsically democratic and most accessible medium has witnessed a disappointingly muted debate within India on its governance and regulation. Some key aspects highlighted in Puri’s article must be discussed further. First, it must be understood that from a practice and policy perspective, surveillance, cybersecurity and internet governance are immiscible. Espionage is unlikely to cease irrespective of who governs the internet, who allocates domain names and who assigns addresses. The existence of PRISM and other such programmes is not a reflection of the state of global internet governance, but rather demonstrates the political intent, technological capability and institutional capacity of nations to interlope, acquire and illegally monitor information and data. India’s subdued opposition to the revelation of PRISM was because, as the external affairs minister put it, “we have similar systems in place” called NETRA and the Central Monitoring System. All countries with means and capacity will keep tabs on adversaries and on activities they perceive as threats. No international agreement or legislation will change that. When such attempts to spy are exposed, as by Snowden, there will be a degree of furore and then it will be business-as-usual. 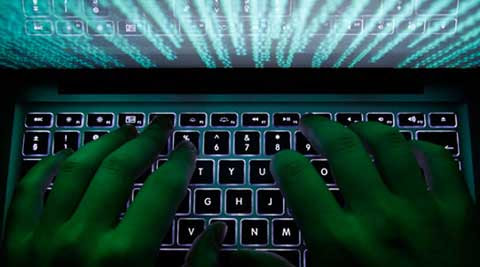 Therefore, even as India rightly seeks greater voice and weight in institutions that manage the internet, it must be very careful not to conflate internet governance with either cybersecurity or cyberespionage. Second, on internet governance, the Tunis Declaration of 2005 is indeed important. We must strive for “multilateral, transparent and democratic” systems of governance as against ceding disproportionate weight and voice to one nation. Unilateralism, or even plurilateralism, is unacceptable, and countries like India and Brazil must ensure the digital world does not get carved up among a group of US-led Western nations on the one hand and the Chinese and Russians on the other. India, in a manner of speaking, is a “swing state” and how it acts now may influence the narrative decisively. India needs to do more. It will be the most digitally engaged actor among the liberal and democratic nations that seek a free and fluid internet. There must be no governance veto for the US, Russia or China and any framework must have India at the high table. At the same time, there must be no G-77 for the digital world with India at its helm. The stakes are too high for India to adopt self-aggrandising idealism. We need to engage on realistic terms with the key stakeholders. Alongside this realism, we also need to accept another fact. This is no longer just a debate on unilateralism, plurilateralism and multilateralism; it is as much a debate on multistakeholderism and multilateralism. The Tunis Declaration, when first written in 2005, had a very different context. There were less than a billion internet users compared to 2.7 billion today, and there were less than two billion mobile users as against seven billion today. In 2005, Google was in its early years, Facebook had not moved out of the college campus, and Twitter had not even been conceived. Today, these and other corporations and civil society collaborations are arguably weightier than nation states and may arguably have a greater impact on the future of the digital medium. How India engages with this new landscape is the most relevant question. Does India see the internet as an aid to emancipate its people or a means to control them? Does it see this medium as an opportunity to create wealth and reach prosperity and services to its people, or should we imagine it as another 20th century security discourse? Does it see its private sector as offering the country greater agency, or does it view the private sector in contention with the state? If the answer is the former to each of the posers, then any governance framework must accommodate the voice of consumers, private-sector companies and other stakeholders. It also implies India help shift the discourse towards multistakeholderism. Telecom companies and IT enterprises have been India’s interlocutors in these sectors at a time when government was ill-equipped to be the voice. These corporations created jobs, ensured growth and connected India to the world under governance regimes emanating from Western centres that were also their markets. They must be co-opted as India engages on these issues today. The consumers/ users must also have a significant voice. This is logical and achievable, as long as we do not mix our approaches to espionage, security and governance of the internet. Our “strategic interest” will be served when we acknowledge where our current and future interests lie, in terms of economy and politics. Thereafter, we must negotiate India’s role at institutions that govern the internet, be it ICANN, IANA or any other body. Our “self-respect” will be enhanced when we negotiate this role from a position of strength, a factor of our economic weight, which in turn is a factor of our private-sector successes, entrepreneurship and large consumer base. The government, like some other smart nations, must let its enterprises and people speak for it, as it will lend it greater credibility.